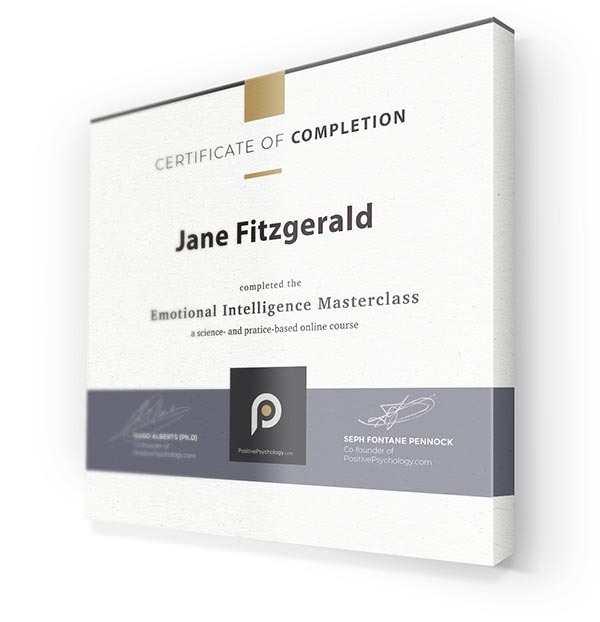 Press play to see everything that the Emotional Intelligence Masterclass includes. 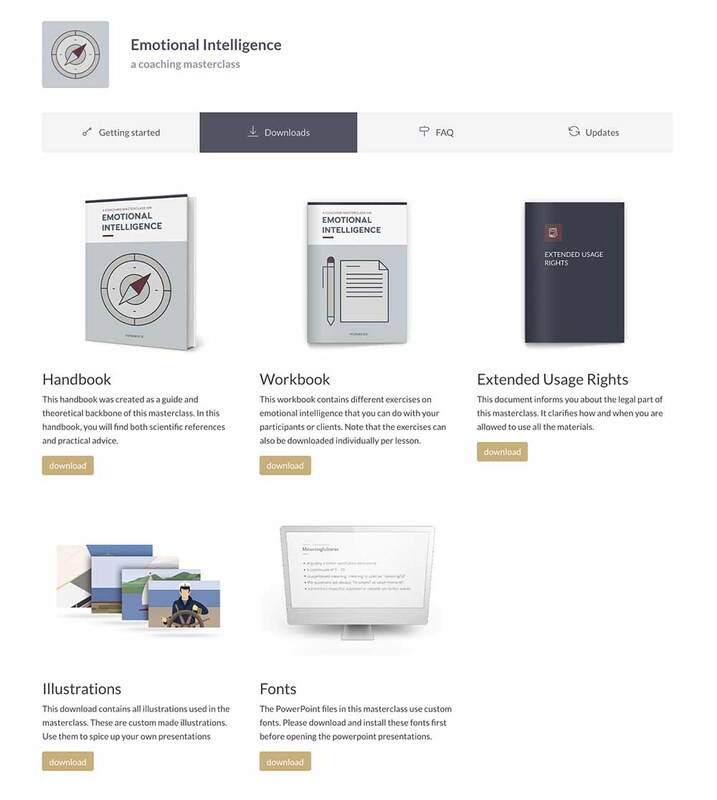 Besides the masterclass for you, the practitioner, it also includes all the materials you need to deliver high-quality EQ training sessions that are science-based (meaning all claims are backed up by research and references). 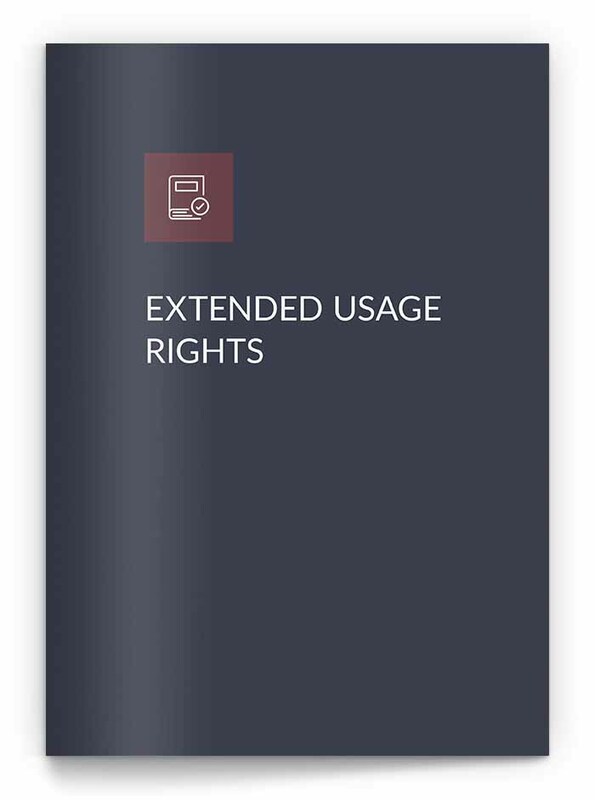 With your purchase, you will gain the rights to use all of these materials (the client workbook, the exercises, the PowerPoints, etc.) under your own brand. 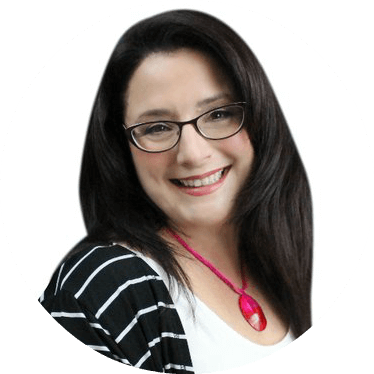 If you are passionate about helping others improve their lives in meaningful ways, this masterclass is for you. Because not only will you master the 6 most important pillars of emotional intelligence, but you’ll also learn to explain and implement them. All the materials you need to confidently apply emotional intelligence in a 2019-proof-way are at your disposal. This makes the Emotional Intelligence Masterclass a practitioner’s ultimate shortcut. 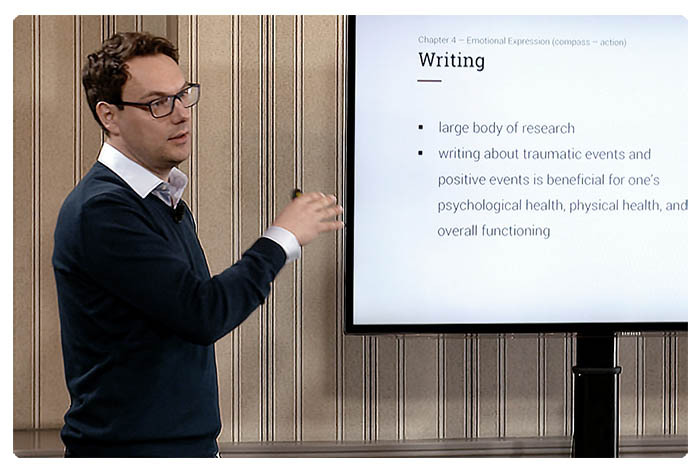 Psychologist and researcher Dr. Hugo Alberts (Ph.D.) has been exploring the scientific side of positive psychology for the past 10 years, with 20+ academic publications on this topic, including emotions. As a practitioner, positive psychology is at the heart of his work with a diverse range of clients. In this module, you will learn what emotions are. Why and how do they seem to involve many different physical and mental processes at the same time? Over the past 20 years, emotional intelligence (EI) has become a popular construct in the field of psychology and beyond. But what is EI exactly? Emotional awareness is a fundamental skill to emotional intelligence. In short, it is the ability to answer the question: How am I feeling right now? 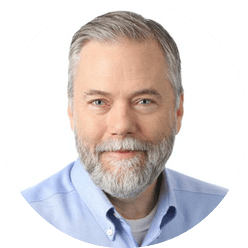 In this module, we will discuss the beliefs about emotions that operate outside conscious awareness, and strongly determine the relationship people have with their emotions. When emotions and rationality are combined, they start to function as data; they reveal information about two important motivators of behavior: needs and values. Emotional expression refers to the ability to name and express what is happening emotionally. Emotionally intelligent people are skilled at expressing their emotions. The Emotional Intelligence Masterclass is just brilliant! 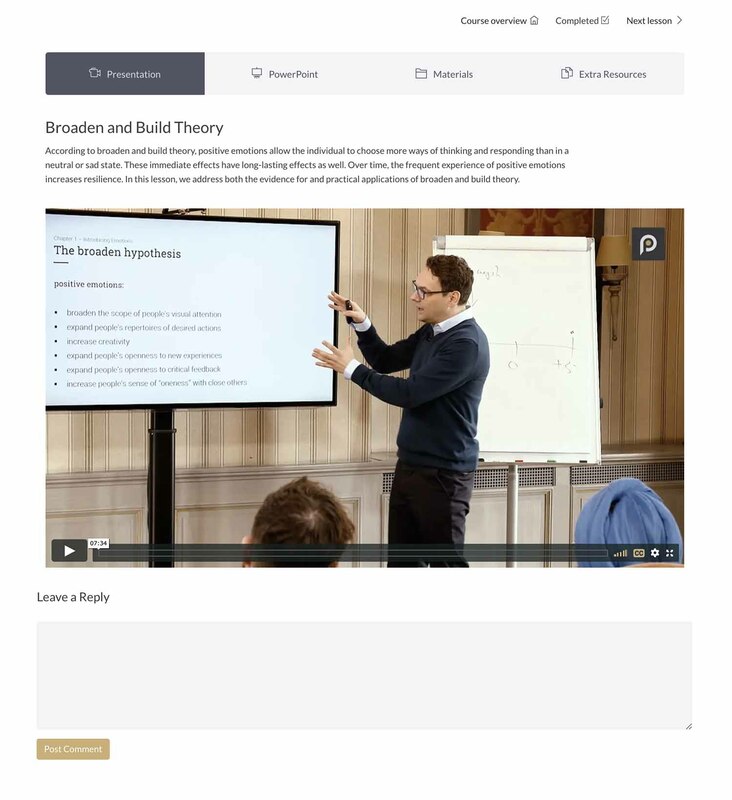 The course is very thorough with easy to digest video lessons alongside professionally developed supporting materials and resources which saves me time and money in my mentoring practice. 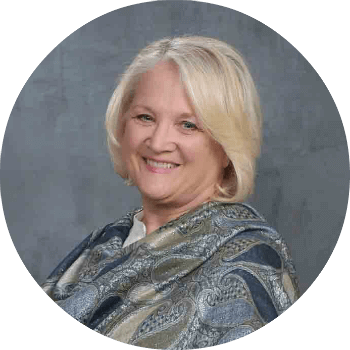 Positive Psychology Program is my trusted source for my own professional development in the discipline as well as tools and resources to use with my clients. of coming to a well-organized understanding. framework I think has been really well done. 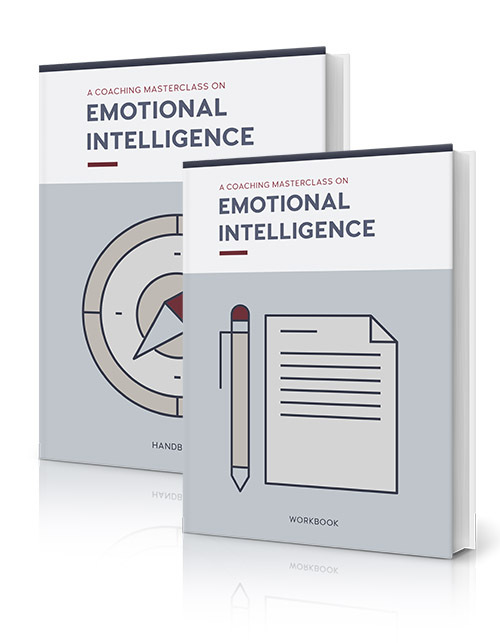 The new Emotional Intelligence Coaching Masterclass is in a class of its own. As with all of the Positive Psychology Program products it is well written, thoroughly researched and practical. It is suitable for both early career coaches as well as more experienced coaches who are looking to deepen their knowledge and hone their EI skills. 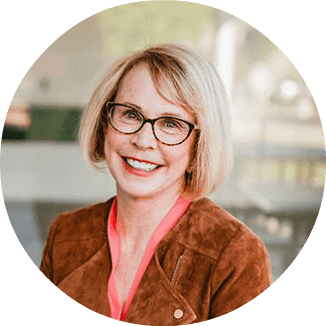 Unlike so many other emotional intelligence resources, this EI Coaching Masterclass dives much deeper in the construct and provides excellent context. 100% Satisfaction. 0% Risk. Guaranteed. You don’t have to decide now. Take all the time you need to try this masterclass for a full 30 days. If you are not 100% satisfied, contact us at info[at]positivepsychology.com to get a full refund upon request. 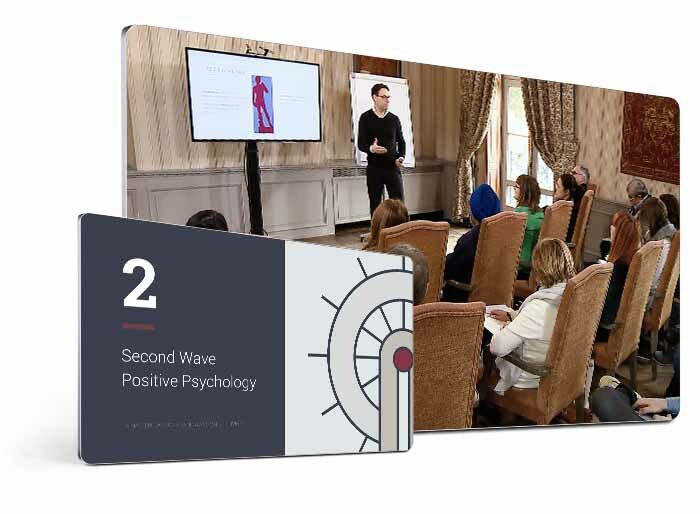 You will receive access to a module on Second Wave Positive Psychology complimentary with your purchase of the Emotional Intelligence Masterclass. This module presents the most recent developments in the field of positive psychology to provide you with the skills and knowledge that will render you confident in teaching and applying positive psychology in your practice. all of the lessons in this masterclass. 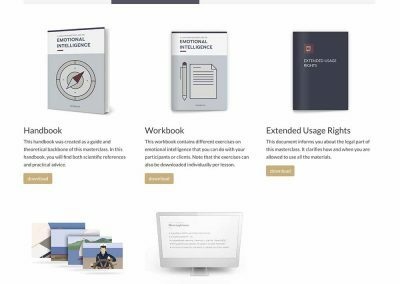 You will receive the Extended Usage Rights allowing you to use all the client- or student-oriented materials (workbook, exercises, illustrations, and PowerPoint slides) under your own brand, logo, and name. This will save you hundreds of hours of work if you’re planning to incorporate emotional intelligence into your workshops, talks, or teachings. 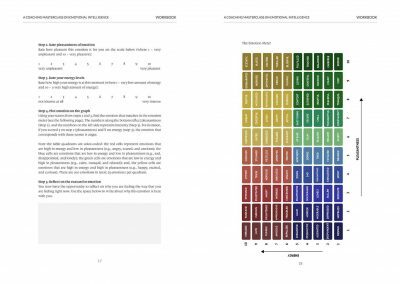 I love working with Positive Psychology Program’s products, whether it is something from the Positive Psychology Toolkit or an entire course such as Mindfulness X. So I was looking forward to diving into their new course on Emotional Intelligence. 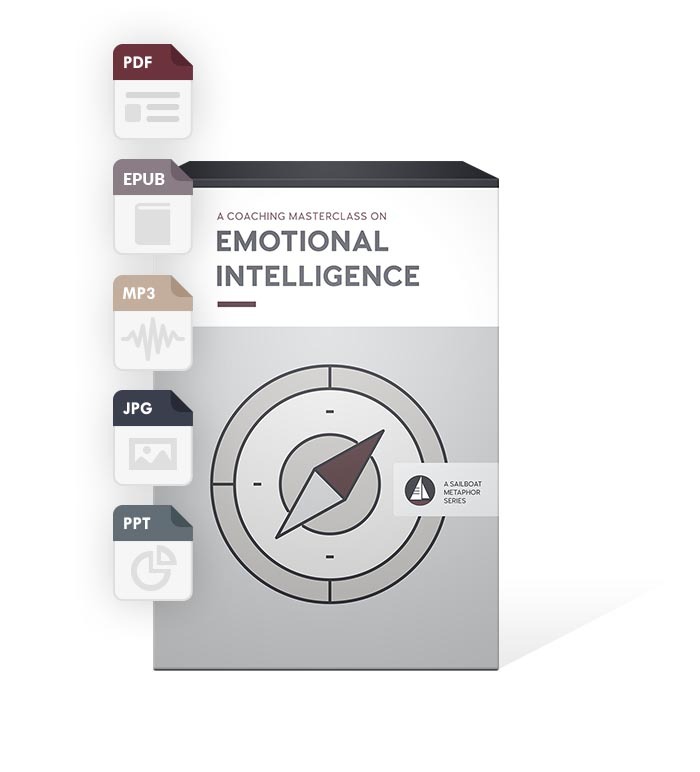 Just as with their other products, Emotional Intelligence is thoroughly researched, logically built, and easy for practitioners to tailor to their audience. I’m delighted to now use the outstanding content in the Emotional Intelligence course to assist my clients, people recovering from tragic and/or traumatic experiences, to reawaken the power of positive emotion toward restoring emotional balance as they heal. I so appreciate the science behind Positive Psychology Program’s masterclasses. The science is presented through models that all people can understand and internalize! Great job! Thank you! You are automatically logged in to the learning environment where you can start the masterclass. Craig Smith has 12 years of experience in the care and rehabilitation of brain injury victims. 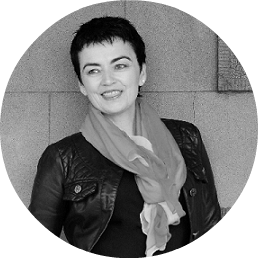 As Positive Psychology Program’s customer satisfaction manager, his aim is to help you get the best experience possible with this masterclass so that you can go out and help others with this newly-acquired knowledge and tools. You can always reach him at info@positivepsychology.com or plan a Skype call in case you find that more convenient (Monday to Friday, 7am – 7pm CEST). A formal or informal training background in positive psychology is not essential in order to follow this masterclass. We have a broad range of customers that include teachers, psychologists, life coaches, HR specialists, business leaders, and fitness coaches, etc. Needless to say, the more experience you have in coaching or practicing positive psychology, the better the foundation you have to build on during and after this training. Are there any deadlines for completing this masterclass? There are no specific time frames or deadlines for completing this masterclass. The learning environment and materials can be accessed online in your own time and completed at your own pace from the comfort of your own home or office. Upon completing all of the lessons, you can download your certificate of completion from the learning environment. Yes. All the content for this masterclass has been developed by academics with both a scientific and practical background. An extensive science-based handbook is provided that includes all references and credits to the work of researchers in the field. This coaching method addresses human functioning at its most fundamental level. Therefore, this method is not restricted to working with any age group or target population. The sailboat metaphor is currently being used with juvenile delinquents, adults employees, and regular coachees. As a practitioner, you can use the acquired knowledge and tools and adapt them if necessary so that they are suitable for your specific professional situation. The Emotional Intelligence Masterclass© is an online resource only. 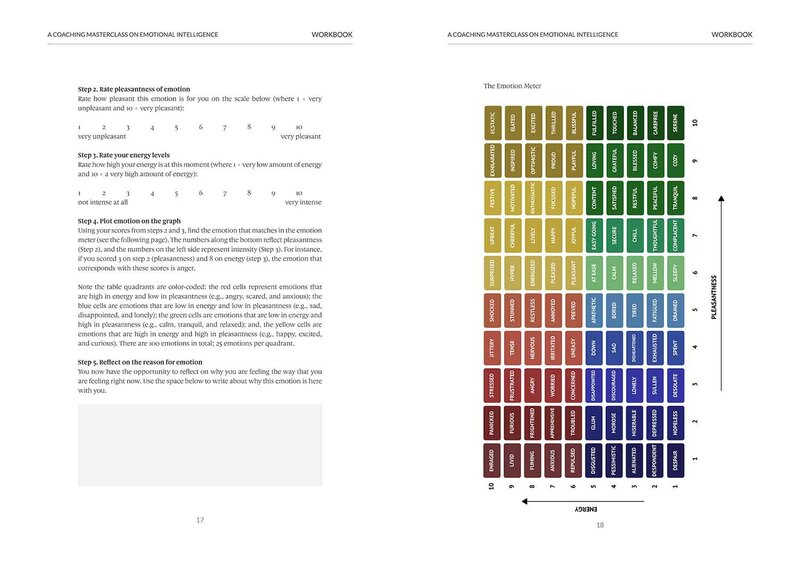 Upon purchase, you will receive full, lifetime access to the online learning environment including all the materials that you can download and print as you see fit. Not yet. We are currently working on accreditation of our programs by the International Coaching Federation (ICF). No, our sole focus for this masterclass is purely to develop material for professional development. 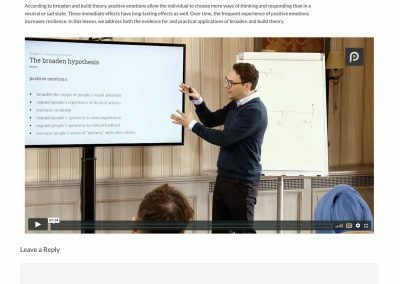 This masterclass contains 6 hours of video content including additional in-depth written material (and instructions). You can choose to follow all of the modules or complete only the ones relevant to your specific professional needs. Depending on how thoroughly you choose to study the content, the material provided in this masterclass will take approximately one week of full-time self-study. 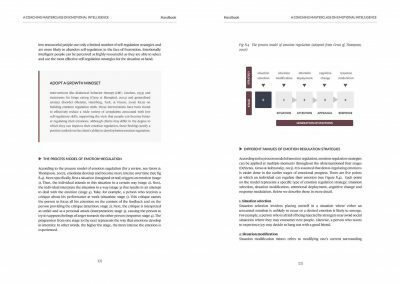 Yes, but in order to promote good practice, please note that you are advised to use this masterclass, guiding materials, and the coaching method introduced within the boundaries of your professional expertise. For instance, if you are a certified clinician, you are advised to use the training within your field of expertise (clinical psychology).Likewise, a school teacher may use the tools in the classroom but it would not be advisable to use the tools provided for clinical populations. This masterclass is an initiative of Positive Psychology Program B.V., founded by Hugo Alberts (PhD) and Seph Fontane Pennock. It has been created by a team of dedicated team members with both an academic and practical background with the help and expertise of some of the top researchers in the field of positive psychology. Absolutely! 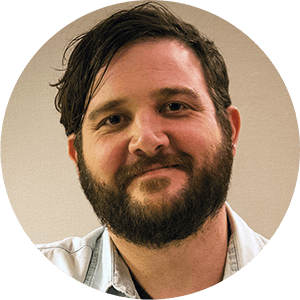 Send our support manager Craig Smith an email at info@positivepsychology.com and he will gladly take care of you. or folks that are trying to enhance personal development, but it can also be infused with psychotherapy, in working with people who are having mental health problems. This framework has helped to organize the field of positive psychology. 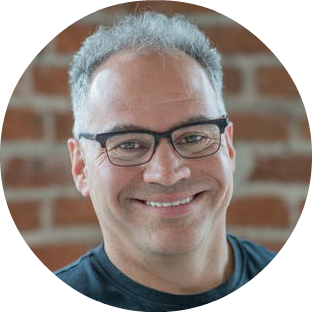 I’m very impressed with the layout and ease of how I could not only learn from but also utilize your content and adapt it to how I bring Positive Psychology and Emotional Intelligence to the financial industry. Thank you for creating such a wonderful tool to teach and help others bring psychological wellbeing into so many areas. I’ve enjoyed the feedback of others in the group and the diverse experience we all have in our respective fields. Great work Seph and Hugo! To promote good practice, please note that you are advised to use this training package within the boundaries of your professional expertise. For instance, if you are a certified clinician, you are advised to use the training within your field of expertise (clinical psychology). Likewise, a school teacher may use the tools in the classroom but it would not be advisable to use the tools provided for clinical populations. 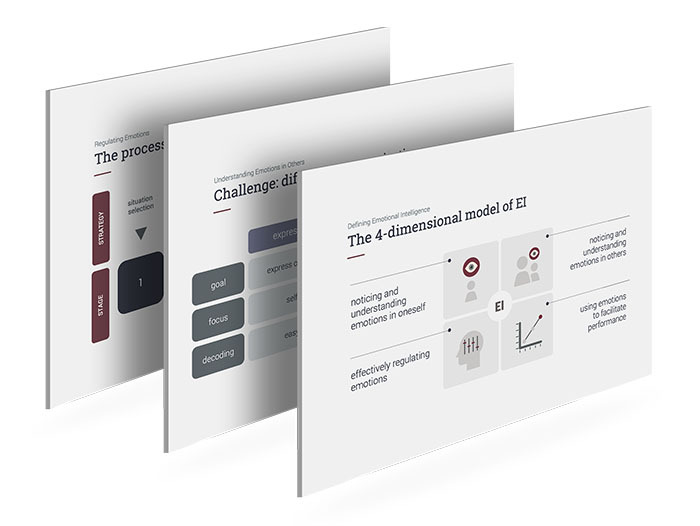 While the Emotional Intelligence Masterclass includes an emotional intelligence training template that provides you with the knowledge and tools you can use to give your own EI/EQ training, it is by no means a substitute for a coaching certification program. 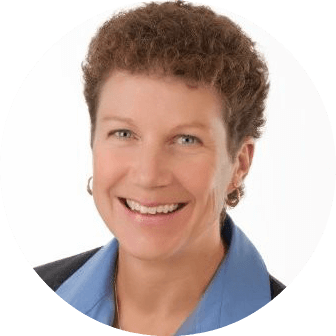 We recommend you attain a coaching certification before you call yourself an official coach or practitioner and before you see any clients or patients. If you are not already a licensed practitioner, this masterclass will still provide you with all the tools you need to sharpen your professional training skills and provides an invaluable starting point for designing your own training. Positive Psychology Products B.V. is not responsible for unauthorised usage of this training package.